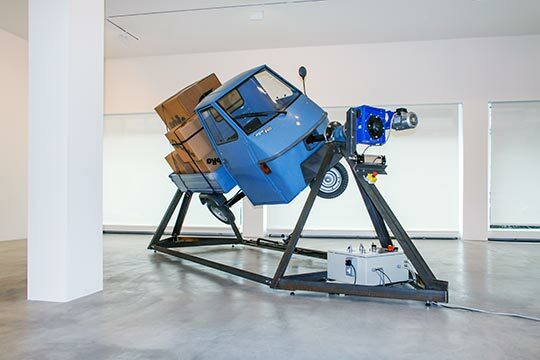 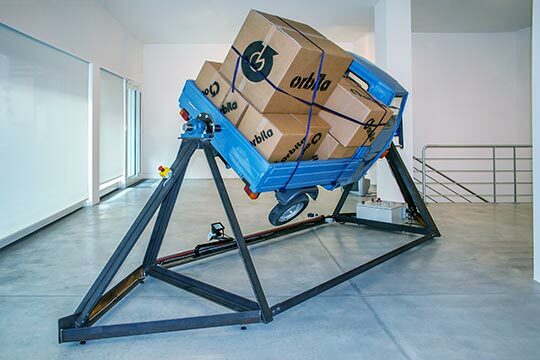 On entering the gallery, one sees an Italian manufactured vehicle, supported on metal stands and a spindle allowing it to continually rotate 360 degrees using a motor and chain drive mechanism. 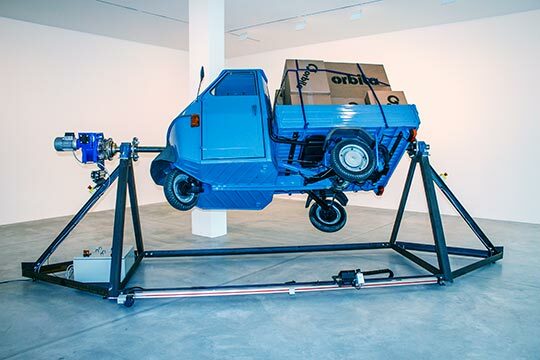 A camera is mounted below this vehicle on a track pointing upward onto the Piaggio bodywork. 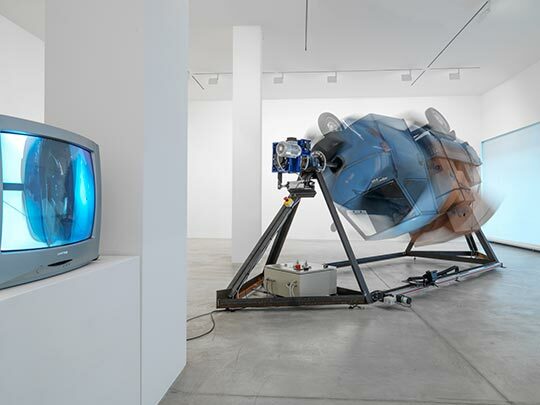 As the vehicle rotates so the camera moves at random horizontally up and down its track producing a continuous close up moving image of the object as it rotates passed the lens thereby translating the 3d object into a continuous flat peeling form on screen.